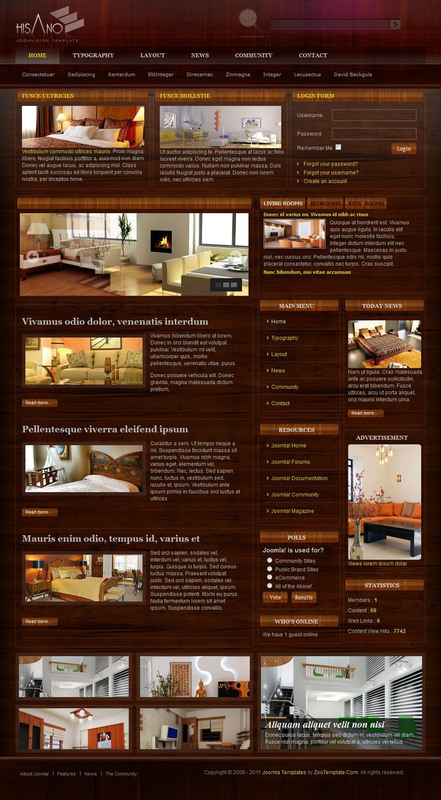 JV Hisano - original furniture template themes for CMS Joomla, designed by professional designer studio JoomVision. Pleasant colors used to design the layout template gives an elegant and sophisticated appearance pattern. Built-in template manager configuration management allows access to all parameters that are configured in a matter of minutes. Flexible and functional framework studio attached template excellent download speed, general optimization and ensures the correct display of the site on any screen devices. there are additional extensions club greatly expand the potential and possibilities of the template. JV Hisano is a perfect choice that meets all modern requirements and Web - standards.